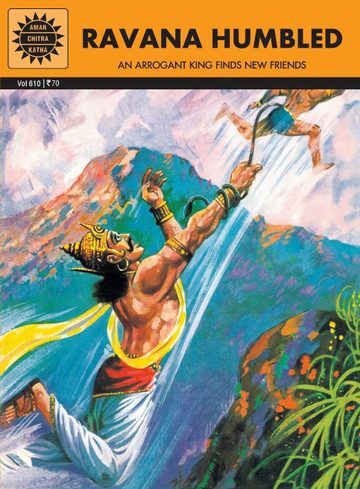 The three stories retold in this Chitra Katha anticipate in a sense, the tragedy that was to strike Ravana, the Rakshasa king, when he abducted Sita and took on an adversary like Rama. Ravana failed to learn the lessons of humility from these early confrontations. These encounters are significant as one is on the divine level, another on the human & a third on the simian. It is, however, to Ravana's credit that he came out unscathed in each of these encounters, richer in alliances & friendships. always interested to learn more about our culture and myths...Great job ACK! This book is fabulously awsome and saves time for other dailly tasks. Just the right book to relax and have fun!